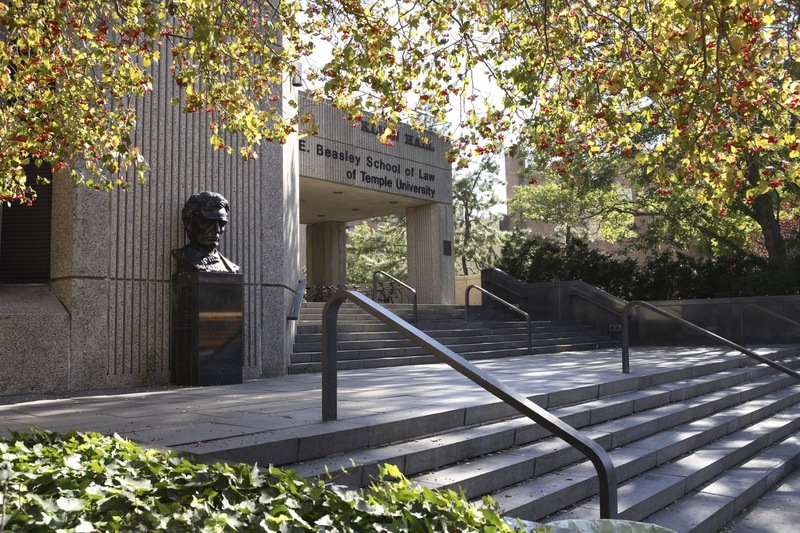 To kick off the start of application review season, our Assistant Director of Admissions breaks down the various application components to help potential law students apply as strategically as possible. One of the most common things on an applicant’s mind are the numerical indicators – the LSAT score and the UGPA. They can be intimidating factors for some applicants, or something to brag about for others. What’s important to remember is that the application process is about highlighting your strengths and putting your weaknesses into context. A strong application will do both. As for the UGPA, what story does that tell? People switch schools and majors, take time off, and grades can fluctuate. Life happens! The Faculty Admissions Committee will be looking very closely at your undergraduate transcripts, so don’t hesitate to lend some context to a situation that impacted your UPGA. You can refer to our Entering Class Profile to see our median numbers – but always keep in mind that your application means more to us than just your numbers. This is one of the first pieces of advice I give to applicants. Take your time filling out the application! This is the first impression you make as an applicant, so be sure to answer the questions thoughtfully and carefully, avoiding any spelling or capitalization errors. Making silly mistakes on the application could imply that you aren’t particularly interested in Temple Law, or that you aren’t detail oriented – both implications that you want to avoid if they’re not true. Letters of Recommendation are not required, but applicants are encouraged to submit up to four letters as part of a well-rounded application. A common misconception is that applicants can only submit academic letters. This is not true! While the faculty admissions committee does appreciate academic letters, professional letters are incredibly helpful and in some cases, may be more relevant than academic letters if an applicant is far removed from undergrad. Try to avoid submitting letters from family or close friends. While these letters are usually absolutely glowing, they tend to be less objective, and therefore less helpful when reviewing an application. You’re applying to law school, not business school, so don’t feel pressured to boil down your resume to a single page. Don’t leave any of your work history out because you feel that it isn’t relevant to the field of law. If you do have gaps in employment, make sure to account for them in an addendum, which we’ll touch on later. 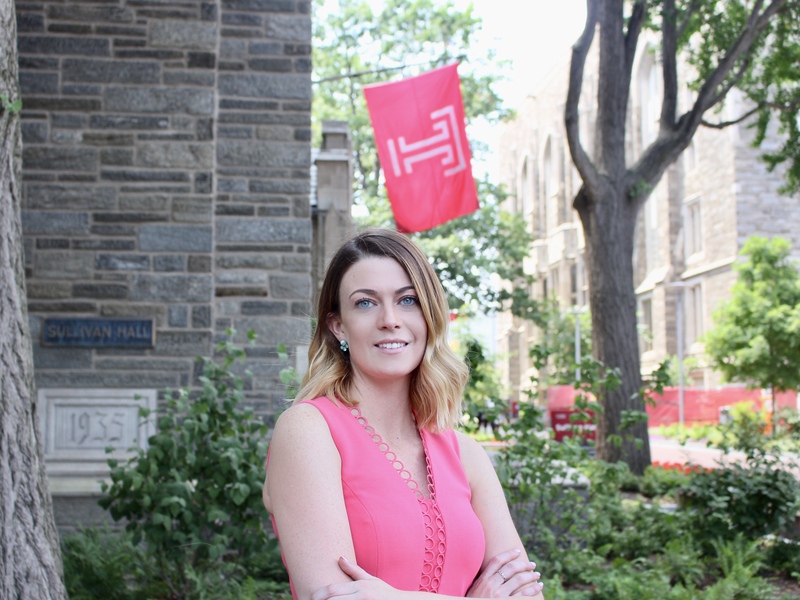 Temple Law allows applicants to submit two written statements – a Personal Statement and a Sp.A.C.E. Statement. Personal Statement: All applicants must submit a Personal Statement with the application form. Sp.A.C.E. Statement: This statement is optional, but highly encouraged. It can touch on one or many of the topics included in our Sp.A.C.E. criteria detailed on our Admissions website. Your written statements should be separate and distinct. These statements have no specific length or content guidelines. Applicants must use their best judgement when selecting a topic and drafting their statements. That doesn’t mean that we want a 16-page long written statement in Comic Sans font; that wouldn’t be good judgement, now would it! It means that you have complete control of your narrative, and should use it to shape your statements into best written representation of yourself possible. Don’t write what you think law schools want to hear. Write about what we need to know to understand you as an applicant, and use your authentic voice to do it. 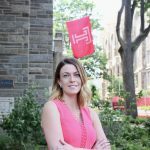 Keep in mind that Temple Law does not grant interviews to applicants. These statements are the only opportunity to have your voice heard by the Faculty Admissions Committee, so you really want to make them count. Consider your topic. Could this statement have been written by anyone else? You don’t want to be generic. Make sure to highlight your unique insight and achievements. Show your written statements to someone who knows you well. Do they think it conveys who you are? Keep your narrative simple. Avoid repeating yourself or reaching for complicated language. The adage “less is more” is very helpful when drafting written statements. Review, review, review! It’s common for writers to miss small things because they’ve read their statement so many times, they know what it should say, rather than what it does say. Ask friends and family to go over your statements slowly with a pen – or read them aloud – to catch those small errors. You can also cut down on adding too much information to your written statements by writing addenda to add context to your application. It’s important to be as transparent as possible when filling out the Character and Fitness section of the application. Read the questions carefully and make sure you’re disclosing everything to the best of your knowledge. Failing to disclose incidents on your application could potentially prohibit you from taking the bar exam and practicing as a lawyer. It can be unpleasant to have to put into writing what is likely not your finest moment, but honesty is always the best policy. Applicants can submit an addendum about any aspect of their application. These addenda are usually no longer than a paragraph and put things into context, rather than providing an excuse. Some common addenda address Character and Fitness issues, low LSAT scores, unusual trends in UGPA, or gaps in employment. For example, an LSAT score below our 25% percentile, taken only once, usually warrants more information. Why did you choose to take it only once? Could you provide any other Standardized Test History, like the SAT, to help explain your LSAT score? Where should the reviewers look in your application for an indication of your academic ability, if not the LSAT? By including that information in an addendum, you save yourself from having to explain it in the Personal or Sp.A.C.E. Statement. If you have specific questions about any of the components of your application, ask! Admissions Offices are always happy to speak with applicants and clarify any confusion. We want you to help you submit the best application possible. Email me at avp@temple.edu or give me a call at (215) 204 – 3807.